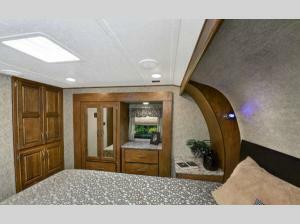 Quad slides and a full second bedroom is what the 38MBX Wildcat fifth wheel by Forest River has to offer! 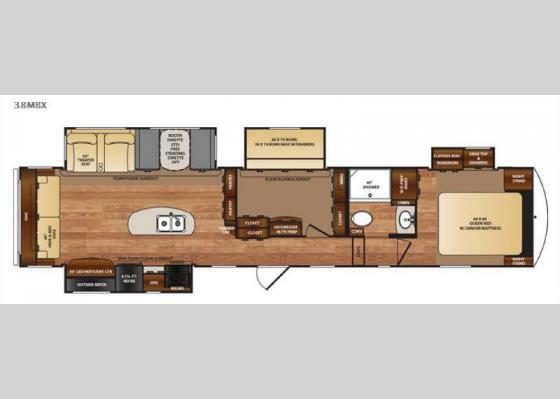 With plenty of space inside this model, you can easily extend your vacation just a bit longer. Straight in from the entry door is a closet for your coats. The bunk room has a slide with a bunk and a bunk base with drawers. You will also find a closet, and a dresser with TV prep. You are sure to love the extra space that this room provides. Step up to the bathroom and master bedroom area. 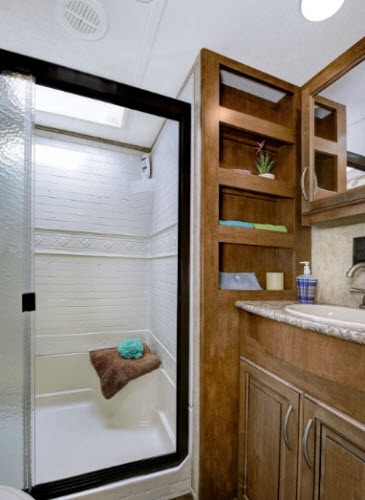 In the bath you will find a toilet, shower, linen cabinet for towels or toiletries, and a sink. In the front bedroom there is a queen bed with a Denver mattress, two nightstands, a slide with a wardrobe, desk & drawers. Across from the bed there is an additional wardrobe that is washer/dryer prepped. The kitchen and living area have dual opposing slides which help to open up the living space. 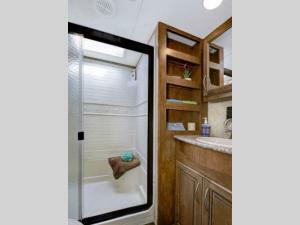 The first slide features a three burner range, overhead cabinet, refrigerator, and 50" LED HDTV/entertainment center. 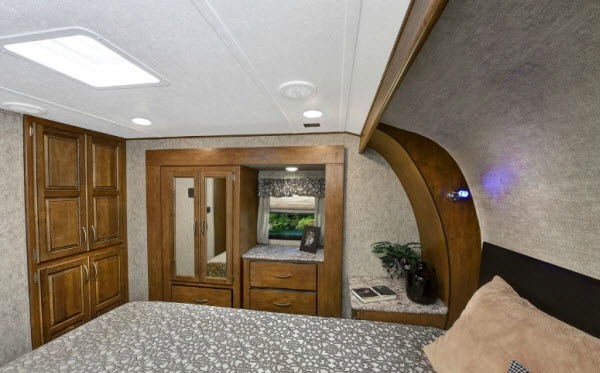 Along the rear of the fifth wheel find a hide-a-bed sofa. The second slide has theater seats, and a booth dinette or you can choose an optional free-standing table. Two pantries can be found adjacent to the slide as well as a corner cabinet. The island has extra counter space for meal prep as well as a double kitchen sink which makes cleaning up easier. Outside easily store drinks or snacks in the exterior refrigerator and more!